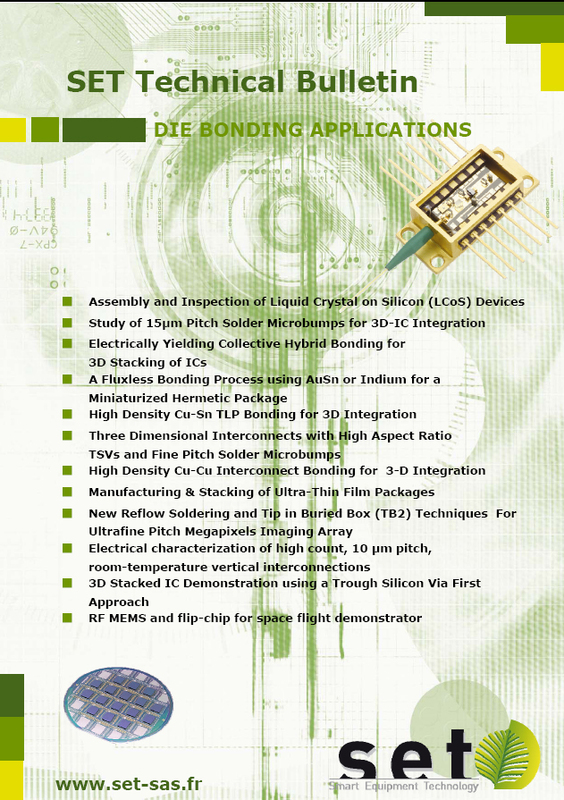 Shorten connections lengths to reduce electrical resistance, improve response time as well as reduce power consumption and overall dimensions is one of the main goal to 3D integration. The placement accuracy requirement varies with the application and the method used to get the signal out of each die. Through-Silicon-Via (TSV) interconnection between chip layers is the focus of the industry today. The optimization of the TSV diameter and pitch is pushing the demands for higher placement accuracy, not only along X and Y axes, but also parallelism between chips.